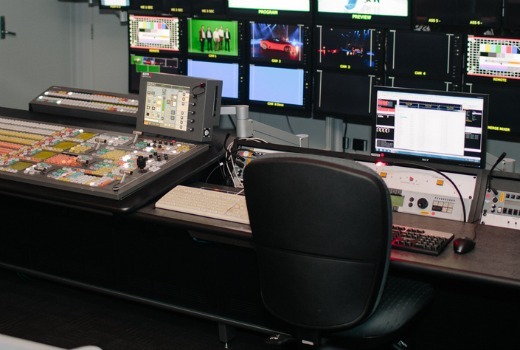 Australian television Directors are set to debate the question of who has creative control on “shiny floor shows” following growing industry concerns in Reality Television. It follow the Australian Directors’ Guild asking the AACTA Awards to revoke a nomination for The Amazing Race Australia in the Directing category, when it was nominated alongside Drama candidates. At the Australian Directors Guild Conference, to be held in Sydney in November, Directors will discuss problems in the Reality genre that have emerged in the workplace. Kingston says some Directors are concerned their creative input is not being adequately acknowledged. “Certainly they’ve expressed the view that they would like to have the credit as Director but they’re not allowed to have it,” he said. In the Reality genre Producers work to manipulate the Storytelling, arguably more than other genres. But ADG members are concerned about the value of their creative input. As networks increase their Reality slates, the competitiveness is impacting on a clarity of roles. “People are trying to find new ways of doing things and the role of the Director is not being clearly defined: how they fit into it. So it’s crucial for us to define and in a way it will help the shows define what they are. (It becomes about) the creative talent directing the whole thing rather than just everyone trying to copy everything else,” Anderson explains. “It’s something we have to come to terms with, the way Directing is changing, although Australia doesn’t seem to have the definitions clear. My colleagues in America seem to have a clearer idea of this, but we don’t in that world in terms of Directors. New genres are also emerging that also blur the lines. “The Shire was a real hybrid show, just an inch away from being a Drama. The only thing that was not dramatic was that they were not actors. So that’s prompted this discussion as well,” he says. “There are clearly Directors in Dancing with the Stars. A director who is running the show and ‘calling the floor.’ And there’s clearly a Director in MasterChef . That’s what (Director) Kate Douglas-Walker does, she goes around setting it up. But it doesn’t seem to be as clear as it could be. “The first season of So You Think You Can Dance was different to everyone else’s and it worked. It was clearly someone’s vision of changing the goalposts a little bit and making a different kind of show. A session on Who is The Real Director? will take place at the ADG Conference on November 8th. Other sessions will include Do We Really Need Directors?, The Rise of the Transmedia Director, Working in 3D, Actor / Director workshop with Gillian Armstrong, Jonathan Teplitzky and David Wenham plus a Keynote Address from Fred Schepisi. While comments that “there are no Directors here” are at the pointy end of the problem, Anderson believes an open discussion can provide the way forward. “I don’t think there’s any nastiness here, just a lack of knowledge,” he says. As a television director of entertainment and live sport for the best part of 13 years – I’ve never had any contact with the ADG. I would seriously question how many members of the ADG are non-drama television directors, because this sounds like a whole bunch of people discussing TV formats they’re not familiar with. They are kidding right? ….